Back pain is one of the most debilitating problems in the United States so we should do everything we can to prevent and reduce the pain we feel with some much-needed back pain exercises. Simple stretches can go a long way in relieving back pain. However, there are some exercises that only add to the tension. Once you are aware of the right way to exercise your back, relieving the pain you feel before seeking the help of a professional may be possible. When we are in pain our ability to manipulate our body is diminished. This is why it might be too difficult to complete a full crunch. A partial crunch can help relieve the pain we feel as well. So having a full range of motion isn’t necessary. Simply lie down on your back with your legs bent so that your knees are pointed towards the ceiling. Then place your arms so that they are supporting your neck. The next step to completing a crunch is to lift up your upper body. The difference between this and a full crunch is simple. You are not going to go all the way up to your knees while completing the crunch. It may not make sense to you, but exercising your legs can help to relieve back pain. Especially if that pain is in the lower region of your back. The hamstrings are a muscle located on the upper-back of your legs. It is not too difficult to stretch out these muscles with the proper technique. To do hamstring stretches you will need a small towel or a piece of cloth. Like you would for the crunches, lie down on your back. Instead of bending your knees towards the ceiling, you are going to bend your legs so that they are strait up. If this is too hard on your abdominal muscles, only bend one leg. The next step is to take the towel and place it over the ball of your foot. Then pull on the towel until you feel the stretch on your legs. Hold this position for 10 to 30 seconds. This exercise should be repeated a couple of times on each leg. Wall sits not only relieve back pain, they also strengthen your gluts and legs. This exercise can be challenging for those who are not physically fit. Only hold it as long as you are comfortable. Completing this exercise is simple. Find a wall and use it to support your back while you are pretending to sit in a chair. This exercise will help to straighten out the muscles while strengthening them. If you find that exercise isn’t enough to completely relieve the pain you’re going through, you may need to find a professional to help. Dr. Ronit Adler is an experienced pain management specialist. 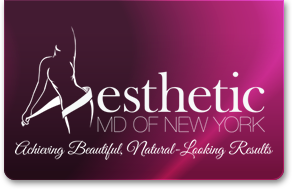 Please call Aesthetic MD of New York at (631) 983-6211 for a free consultation if you are not experiencing relief.